Positioned on a large grassed area alongside Severn River, in Kwiambal National Park you will find within easy walking distance of the campground fishing, swimming, hiking and birdwatching opportunities. Lemon Tree Flat offers tank water suitable for drinking after treatment, though it is a good idea to bring your own as well. 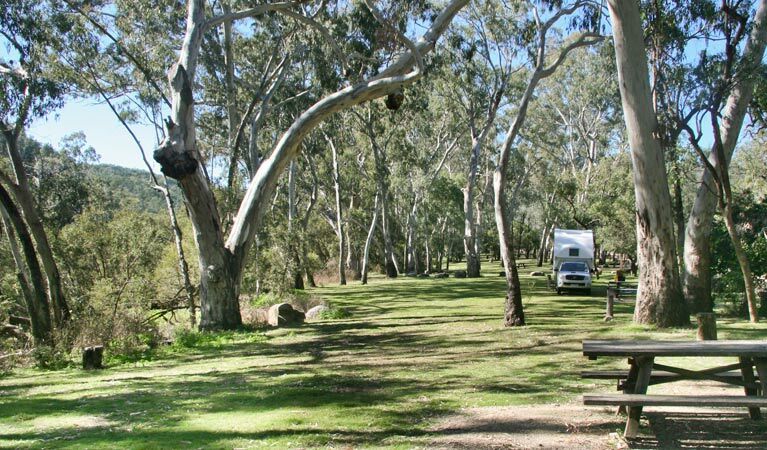 Generators (including inverters) are not permitted within this campground to minimise disturbance to other park users and wildlife. Contact the park office with regards to generators required for auxiliary aids to assist a person in managing their disability. No domestic animals are allowed. Assistance animals and registered companion animals may be permitted with prior notice (contact Park Office). Camping is on a first come, first served basis. Bookings are not taken for this campsite. A self registration system applies. Please register and pay at the park.The self registration system involves visitors reading the information/interpretation board and completing their booking details on an envelope. Once complete, place the correct money in the envelope and follow further instructions. A ranger also calls into the park to check visitors have paid.